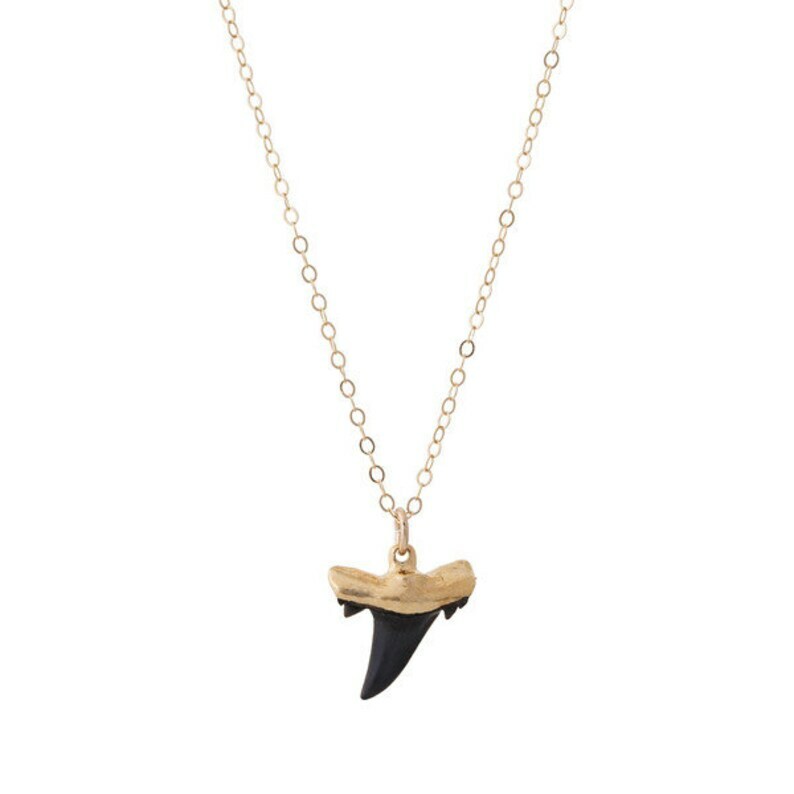 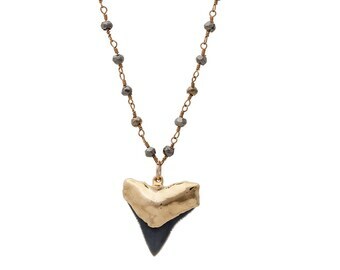 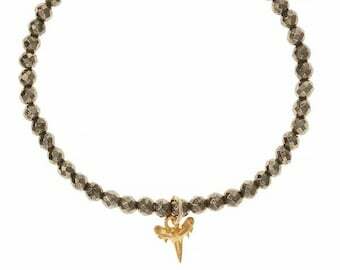 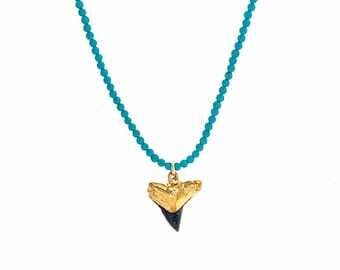 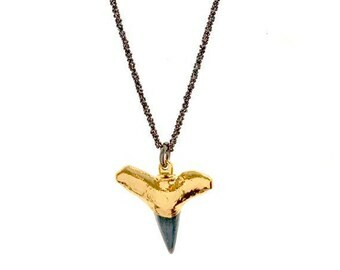 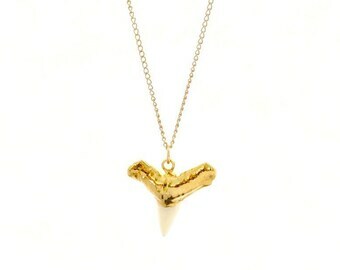 Small black fossil shark tooth necklace. 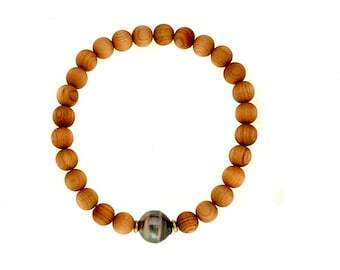 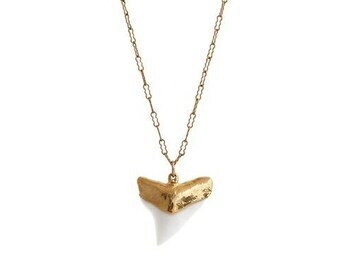 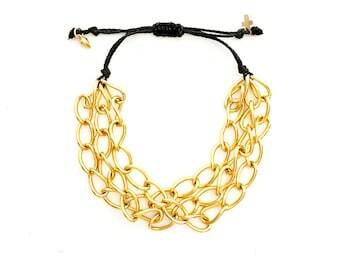 Wear alone or layer with a longer necklace. 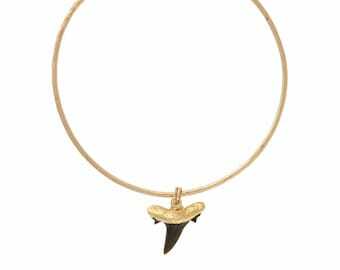 Size and shape of shark teeth vary. 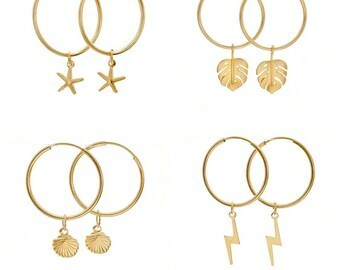 We carefully select each one. 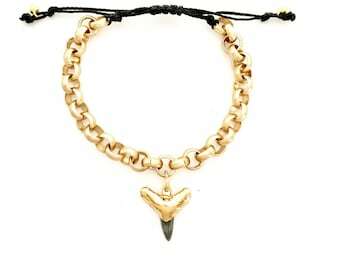 Gold fill chain and accessories.